I’ve started to take some high def videos of the buildings in the game to show people what you are getting for your donuts both job wise but also animation wise. 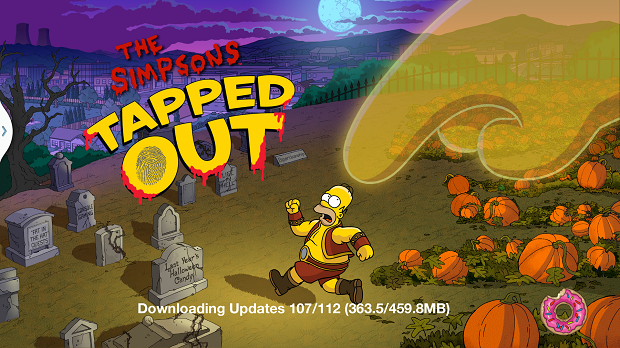 These videos will cover costs, level requirements, quests the character has and also a look at all the jobs and custom animations in Simpsons Tapped Out. One of things, well really the only thing, premium decoration do in Simpsons Tapped Out is provide bonuses to your XP and Cash outside of the Comform-o-Meter. This table’s purpose is to help you get the most bang for the buck (meaning Donut). For best overall you want to sort by Per SQ. This calculates how much of a bonus you are getting per 1 grid piece in Tapped Out. Example: Robby The Automaton is 2×2 which equals 4 total grid squares. It provides an overall bonus of 2%. That equals .5% per grid square. What this helps you figure out is which pieces are packing the most bonus in the smallest package. The Springfield Sign gives out a massive 4.5% bonus. BUT it’s 400 squares making it only .01% per square. I also have the SQ per Donut calculated. This is kind of a meaningless figure as are really going for the biggest bang per square. If you money is tight you can use this field to find some deals but this does not equal BEST in the same terms that the Per SQ field equals. Currently the Miniature Nuclear Warhead gives a .75% bonus per square, and at 45 donuts you are paying a pretty fair price for that bonus. Long term you are going to make more money and XP from having her than any other Decoration piece if you can afford the extra premium. Flower Planter at just 10 donuts give a decent return of .25% per square at a much cheaper .025 ratio of Donut to SQ bonus. Check out the full table after the break. Note this table is fully sortable and searchable so check out all the fields before making a purchasing decision. THE SEASON 25 TIE-IN IS LIVE! See it HERE. Quick update to get ready for the Halloween event and the new Season Tie-In. 9/23/13. Homer: Oh no! It’s almost the start of October… which due to the scheduling of baseball games on FOX, is when Halloween comes to Springfield! Lisa: *sigh* I wish we could have it at the end of the month like normal people. Homer: I just want it to be over. It’s always so scary, with the aliens and movie parodies and main characters dying. All the rules are off! Lisa: That’s because it’s non-canonical, Dad. Dying doesn’t count. Homer: I know, but it still hurts. And this year I want to be prepared. Can you find out what’s going to be happening here this year? Lisa: Hmm, maybe. Let me check online. This series ties into the Season 25 Premiere of the Simpsons. My guess is that it will end before the scheduled Halloween event on 10/1 but there is no official word yet. It’s a short quest line so no worries on finishing it in time. Lisa: But you rarely ever go to work. At least not on time. Or with — what’s that thing on your face — a smile? Homer: Yep. I’m smiling because for two glorious days and one even more glorious night, work isn’t actually going to work. It’s going to be a convention! Homer: Uh… nothing. Just work. It’s really boring. Homer: Now where’s that inflatable gorilla wearing women’s underwear that I ordered? Homer: Great. See you later, sweetie! Homer: Well, I’m all packed up. Lisa: Four bags?! You’re only away from a night. How much clothing do you need? Homer: Oh, right … clothing. I should pack some of that as well. And you will to, if you miss The Simpson’s 25th Season Premiere. This Sunday at 8/7c on FOX. And to celebrate the premiere, a FREE decoration for your Squidport has been placed in your inventory! The 2013 Halloween event is HERE! You first have a app update (For Android it was 35.88 MB) followed by the in-game update. The Event ends on November 7, 2013. 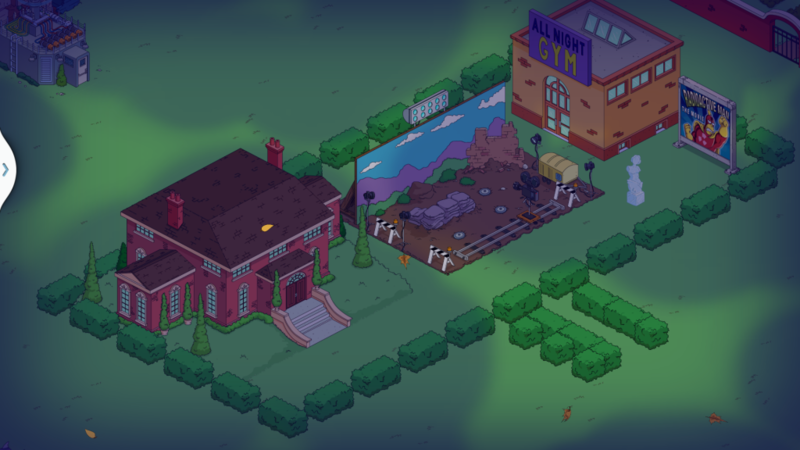 This event also adds more land for Springfield! If missed getting Kang at last year’s Halloween event have no fear as Kang is available this year along with Kodos! 5 REWARDS FOR COMMUNITY GOO!